Last Friday was International Women’s Day, and across Jaguar Land Rover women celebrated the day. 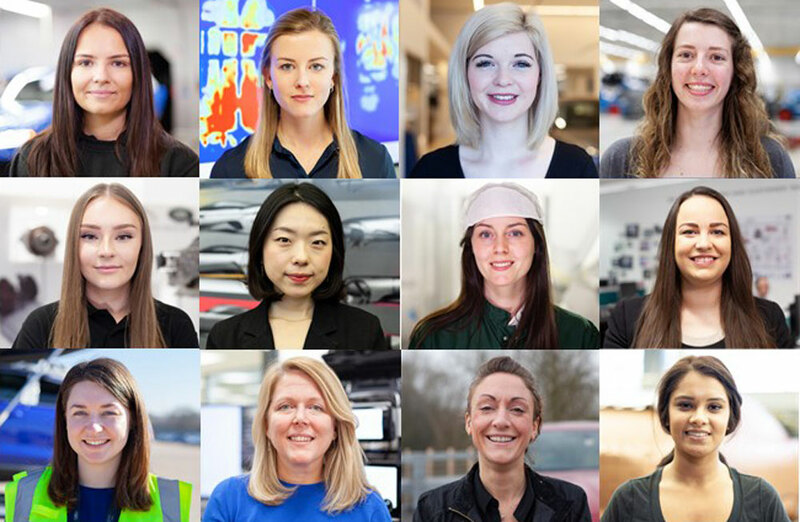 Jaguar celebrated International Women’s Day by releasing a video showcasing all the women involved in developing and building its cars. Meanwhile Land Rover UK hosted an all-girls coaching session in Bath, with the help of England Rugby World Cup winner Maggie Alphonsi and rising English young coach Jade Whale. The training session was put on to support female participants of Hitz, a national social inclusion programme that uses rugby to inspire and motivate young adults back into education and employment. Jade suffered from low confidence before joining, the Land Rover supported Hitz programme, and now plays for Bath Rugby Ladies and is collecting her coaching badges as an apprentice of the Bath Rugby Foundation. Maggie was impressed by what she saw, saying: “What is great about International Women’s Day is we get the chance to tell the stories of fantastic individuals who are doing amazing things; Jade is absolutely one of them. Across our UK and Ireland sites, women from across the business got together to celebrate the day. 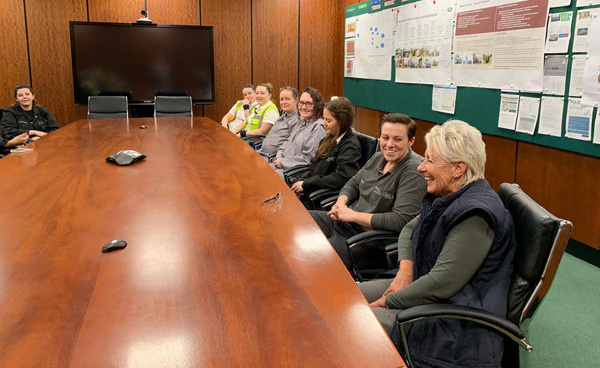 In Halewood, Global Manufacturing Director Grant McPherson held an engagement session with a group of female associates from across the plant. During the session he talked about the challenges and opportunities facing Halewood and shared his views of wanting to see more women in senior manufacturing positions. At the EMC, local MP Emma Reynolds visited the plant to meet with apprentices and female colleagues to speak about their experiences working for Jaguar Land Rover. While she took the opportunity to answer questions about life as an MP. 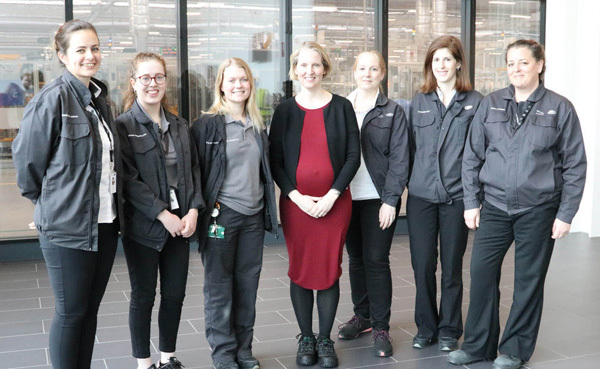 Female colleagues in Shannon, Ireland, also got in the spirit of International Women’s Day by hosting a session exploring women in the automotive industry and engineering. The discussion, chaired by Senior Programme Manager Kareena McMahon, looked at how they could improve the percentage of women working in the office. Our North American colleagues also celebrated International Women’s Day by hosting a panel of female speakers who discussed what it means to build and lead diverse teams. The #BetterForBalance panel led by New York Times Director of Strategy, Kathleen Diamantakis, included three-time Olympic medallist Meghan Duggan, Jaguar Land Rover’s Dawn Canes, Google Automotive’s Anya Estrov and New Yorker Editor Helen Rosner. 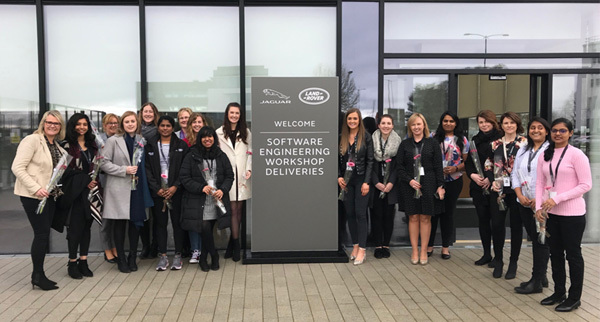 Meanwhile the future technology innovation hub in Portland in Oregon, saw female colleagues come together to share their experiences and successes they have been involved in with Jaguar Land Rover North America. Watch the video.